The weather is Tomsk is quite extreme and offers a typical Siberian climate. People often associate Tomsk with its bitterly cold winter months, but rarely think of this as being a city that enjoys beautiful sunny summers, with highs of up to 30°C / 86°F during the very best weather and a completely frost-free period of around 120 days. There really are only two main seasons in Tomsk, summer and winter, since both spring and fall seem to merge into the following season almost as quickly as they arrive. The climate extremes mean that you should pack sensibly and generally be prepared for chilly nights, whatever the month. 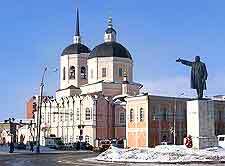 Due to the high temperatures and the pleasant climate, most people choose to visit Tomsk when the weather is at its finest, which is any time between May and September. The hottest month are always June, July and August, when daytime temperatures average more than 20°C / 68°F and rarely disappoint, meaning that you can sightsee with up to ten hours of sunshine each day. 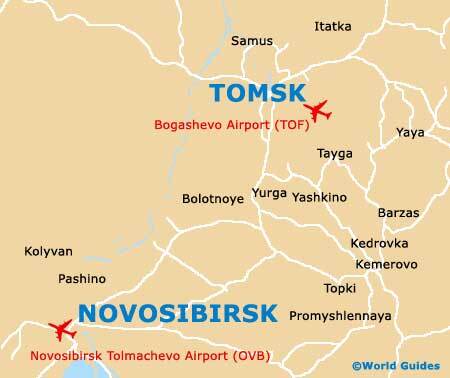 The summer is almost the wettest time of the year in Tomsk, although precipitation levels are fairly low and around 66 mm / 2.6 inches per month, rarely spoiling the actual day. Sharp overnight frosts start towards the end of October and by November, even daytime temperature stay well below freezing, with the cold climate demanding that you wrap up well.